Charlie Hebdo running blog: Updates on Paris terror attack. Slate will post running news updates about the situation in France below. 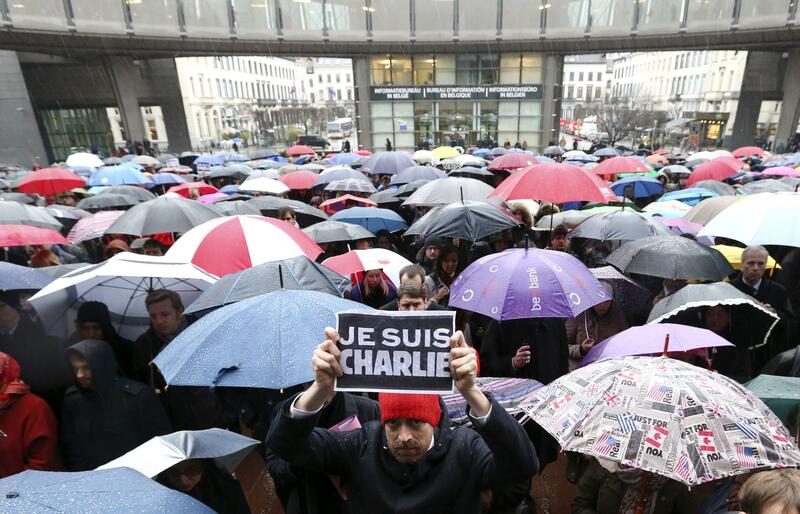 For other Slate coverage of the Charlie Hebdo shootings, click here. U.S. officials say they’ve been told by French intelligence that a Paris attack suspect trained with al Qaeda in Yemen. CNN’s report says specifically that Said Kouachi is thought to have received weapons training in Yemen as late as 2011. Slate’s Joshua Keating wrote today about Yemeni al-Qaida, which is usually referred to as al-Qaida in the Arabian Peninsula (or AQAP) and is known to have launched a number of terror plots in the West (including the failed “underwear bomber” attack) in addition to fighting as a militia in Yemen’s ongoing, multi-factional civil war. “In 2022, I will do Ramadan,” Houellebecq’s dialogue bubble reads—his new book, per the New York Times, depicts “a future France run by Muslims, in which women forsake Western dress and polygamy is introduced.” His agent says Houellebecq was “deeply affected” by the death of his friend Bernard Maris, a writer, in yesterday’s massacre. The Daily Beast’s Shane Harris, meanwhile, reports that the Kouachi brothers were known to the U.S. intelligence community, or at least known to one of that community’s many enormous databases. 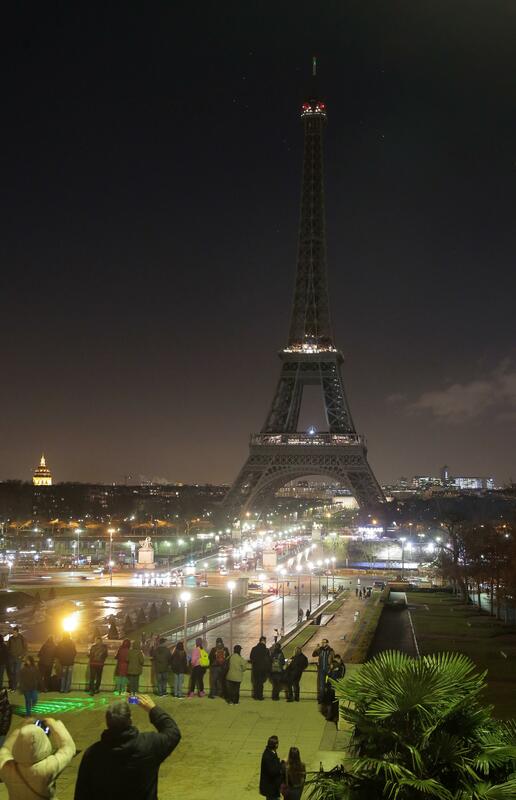 Update, 2:40 p.m.: The Eiffel Tower went dark at 8 p.m. local time to honor the victims of the Charlie Hebdo massacre. Update, 2:25 p.m.: Night has fallen in France and the Kouachi brothers are still at large as authorities continue a manhunt that appears to be centered roughly 50 miles northeast of Paris. French officials have also detained at least nine other suspects with potential connections to the attack, most of them reputedly acquaintances of the Kouachis—who were identified in part, apparently, by an ID card one of the brothers left in a getaway car. Mashable has posted footage taken by a French public television station of Cherif Kouachi in 2005, the year he was arrested and charged with planning to travel to Iraq to commit terrorist acts. (He was convicted in 2008.) In the footage (which is in French), Kouachi can be seen rapping and discussing his radicalization. At the time, his attorney said Kouachi was actually relieved to be apprehended because he was not sure he believed in the cause of violent jihad. Update, 12:00 p.m.: The BBC reports that special forces personnel and law enforcement helicopters have been seen in the village of Longpont, northeast of Paris, and a major road running in and out of the town has been shut down. 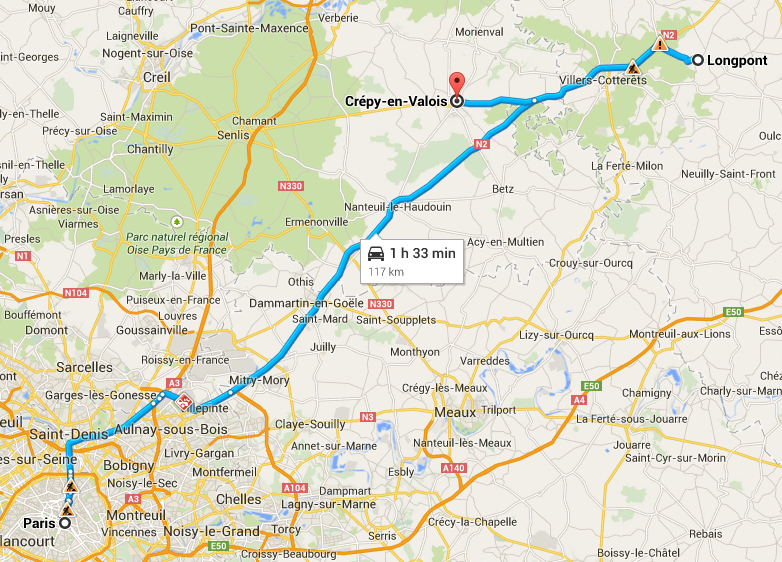 Longpont is near Villers-Cotterêts, where the at-large Hebdo suspects reportedly robbed a gas station earlier Thursday. Authorities are reportedly also searching in the village of Corcy and entering a forest near Crépy-en-Valois in the same area. Update, 9:30 a.m.: There were multiple attacks against French mosques overnight, the AFP is reporting. Nobody was hurt in the incidents, which occurred in different cities. Three “blank grenades” were reportedly thrown at a mosque in Le Mans, while gun shots were fired towards a Muslim prayer hall shortly after evening prayers in a Southern French town. There was also an explosion outside of a kebab restaurant near a mosque in the east of France. “The coincidence of this morning’s attack, the response, in a place close to a place of worship, may perhaps be a reaction,” said Bernard Perrut, mayor of Villefranche sur Saone where the attack occurred. The Imperial snack restaurant was closed when an explosive device was placed in front of the door of the shop, which is just yards away from the entrance to a mosque, reported the local prosecutor. Update, 7:15 a.m.: The Koachi brothers stole food and gas from the station where they were seen north of Paris, the BBC reports. The men reportedly fired shots and were armed with Kalashnikov automatic rifles and rocket-propelled grenade launchers. They’re said to have fled back in the direction of Paris in a gray Renault Clio. A minute of silence to honor the victims of Wednesday’s shooting was observed in France and across Europe at noon Paris time. (Paris is six hours ahead of Eastern Time.) Here’s a picture of the memorial moment taken outside the European Parliament in Brussels. Original post, Jan. 8, 6:14 a.m.: A policewoman was shot and killed near Paris Thursday and another individual was injured, though it’s not yet clear if the incident is related to Wednesday’s Charlie Hebdo massacre. Meanwhile, the two at-large suspects in the Hebdo attack were reported “located” in northern France but have not been caught. Another suspect in the attack has already turned himself in to police. Details on the sighting of the two at-large suspects, Cherif and Said Kouachi, are sketchy. AFP reports that the manager of a gas station in Villers-Cotterêts, 50 miles northeast of Paris, recognized the brothers. “Sources close to the manhunt” tell the news agency that the men are armed. 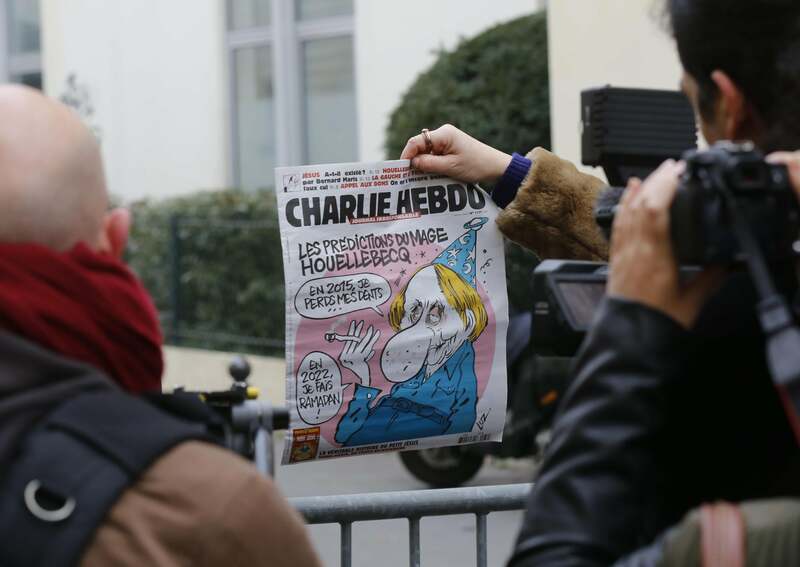 A surviving Charlie Hebdo staffer, meanwhile, told AFP that the magazine will be published next Wednesday as scheduled.